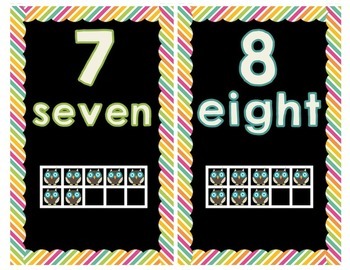 Number posters 1 through 20. 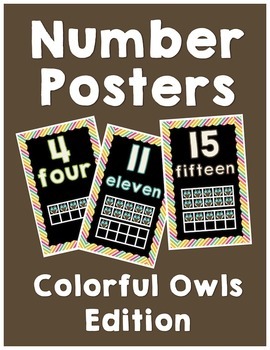 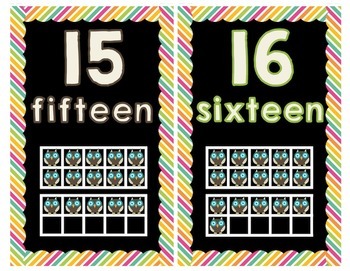 Each poster features bold numerals & ten frame examples in a colorful owl theme. 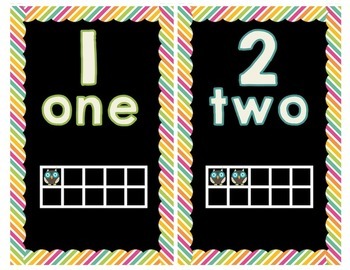 Simply print and display in your classroom!